Gastroesophageal reflux disease (GERD) is a common problem that affects approximately 7 million people in the United States. While up to 60 percent of the population may experience GERD symptoms at some point in each year, symptoms become chronic for 20 to 30 percent of people. GERD can cause discomfort and, in severe cases, can lead to additional complications and permanent damage. Fortunately, lifestyle modifications and medical intervention can prevent damage from becoming severe. The entrance to your stomach is regulated by a natural valve called the lower esophageal sphincter. This ring of muscle opens to allow food to pass through it, closing off tightly behind food. When the valve fails to close all the way, acid can leak from the stomach and up into your esophagus. 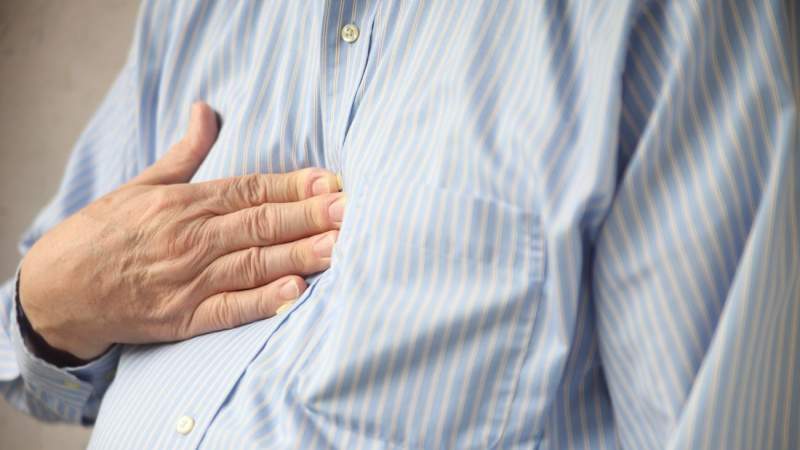 Acid reflux can happen to anyone, and in some cases the symptoms are acute and resolve themselves. However, some people experience acid reflux symptoms more than twice a week. These people have chronic gastroesophageal reflux disease, or GERD. Some people may also experience nausea and vomiting because of severe GERD. If left untreated, the acid can cause damage to the throat and esophagus. This inflammation may worsen existing symptoms and create new ones. A severely inflamed throat can make it difficult to eat or even breathe. Weight loss and bloody stool can result. Severe damage can lead to the development of esophageal cancer in some patients. Hiatal Hernia: This is stomach abnormality that causes the stomach to move out of position, allowing acid to rise into the esophagus more easily. Pregnancy: A combination of hormones and weight gain or pressure from the fetus make acid reflux more common among pregnant women, especially in the third trimester. Smoking: Long-term smokers can develop damage to the throat muscles and mucus membranes. It can also increase the amount of stomach acid you produce. One of the most common causes of GERD is diet. Certain foods lead to the production of more stomach acid, which makes it more likely for that acid to leak into your esophagus. Some foods can also irritate your stomach and esophagus, causing the sphincter muscle to spasm or simply not work as efficiently. Most people who suffer from GERD discover that the symptoms are often best managed through monitoring their diets. Alcohol is also a major contributor to acid reflux, especially when combined with cigarettes. People who drink and smoke have a higher risk of developing esophageal cancer than individuals who don’t. In addition to monitoring your diet and avoiding trigger foods, you can also help to reduce the prevalence and severity of your GERD symptoms by making other lifestyle changes. Obesity is a major contributor to acid reflux and many other gastrointestinal issues. Working to lose weight can help to relieve pressure from your stomach and help to reduce acid reflux. It’s also a good idea to avoid eating before bed as lying down after a meal. Exercise can also temporarily cause acid reflux, so wait until after you’ve cooled down from your workout to eat. If diet and lifestyle changes do not solve your GERD symptoms, a prescription or over-the-counter acid reducer can help as well. These antacids can neutralize the acid in your system or reduce the amount of stomach acid produced, helping to relieve symptoms. It’s a good idea to discuss your symptoms with a physician before starting any kind of medication – even an over-the-counter treatment – to rule out other problems and to ensure that you use the best product for your individual needs. When symptoms are caught early and managed through a combination of lifestyle change and medication as necessary, people with GERD can generally have substantial relief. You may need to be vigilant about your changes for the rest of your life, however, as symptoms will relapse if you eat too much of a trigger food or stop taking a prescribed medication. For most people, acid reflux can be easily managed and should not cause too much lasting damage. In certain cases, however, the outlook may be different. Factors like the length of time the situation has gone without treatment and the existence of additional underlying problems can dramatically affect the outcome of a patient with GERD. In some cases, GERD that cannot be managed through lifestyle and medication alone may require surgical intervention or other more serious treatment options. If you have a problem with recurring acid reflux or its accompanying systems, you should speak with your doctor. A physical examination and discussion of your medical history can help your doctor to determine the best course of treatment and your individual prognosis.